As we all shift our attention to becoming more environmentally conscious we want to make sure we are all doing our part to try to eliminate unnecessary waste. 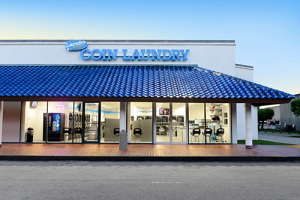 At LaundroXpress we use state of the art eco-friendly machines and manage our water use. We believe in doing the small things that can bring around big change. Simple things like shutting off the water when you are not using it, using eco-friendly detergents, and doing larger loads of laundry at once are all steps we can take towards a more green future. One way many new parents are eliminating their carbon footprint is by choosing to use cloth diapers instead of disposable ones. Cloth diapers have been used for many years until the disposable diaper made it easier to just toss it all away without having to worry about it. But many people are resorting back to cloth diapers because they save money and are much better for the environment. An average of 3.4 million tons of diapers fill landfills every year. And it is estimated that the average child will go through 10,000 diapers until they are toilet trained. That is a huge stress on the environment and could be radically different if everyone used cloth diapers. People are a bit hesitant about adopting cloth diapers because they are unfamiliar on how to use them. The key to using cloth diapers is keeping them clean. We want to share the best way to clean your cloth diapers and how you can even clean them at a Laundromat. First you want to soak the dirty diapers in a liquid detergent. Let the diapers soak for 2-3 hours depending on how soiled they are. You can even add some baking soda to reduce smells. Rinse off the diapers once soaked and toss them in the laundry machine using hot water. Make sure to wash the diapers separate from your regular laundry. Letting the diapers air dry can also reduce odors. Also make sure you have enough diapers available while you wash to ensure you can rotate during the wash if necessary. Using cloth diapers is a huge benefit for everyone. It is more comfortable and less irritating for your child, it saves you a bunch of money, and it greatly reduces your carbon footprint on the environment. Follow these simple steps on how to keep them clean and you will never go back to the disposable diaper again!